This guide describes the process of exporting from Deputy into FlexiTime. Before you get started, please make sure that you have prepared to export from Deputy. First, please ensure that your employees' Timesheet Export Code in Deputy and their Display Name in FlexiTime are the same. To change an employee's Timesheet Export Code, please navigate to your People page. Next, please find your employee in the list (or enter their name in the Search box), then click the Options button, then Edit in the drop-down menu. 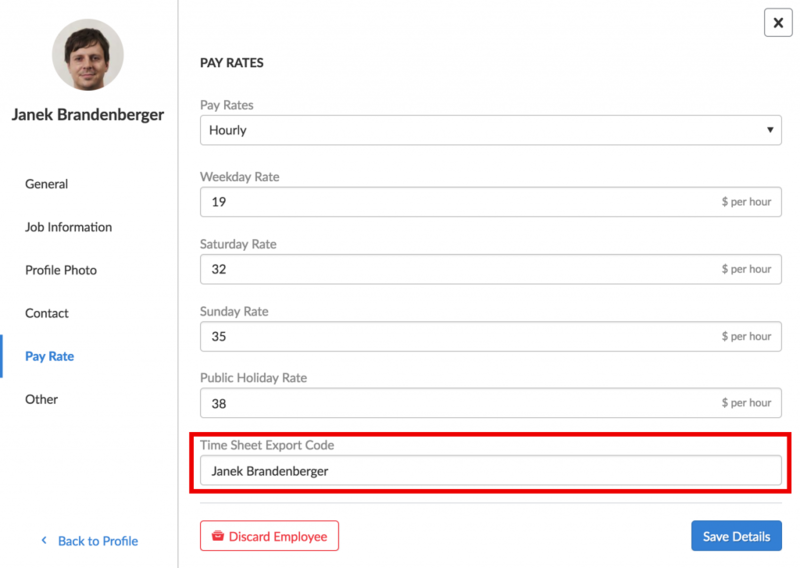 The Timesheet Export Code can be found in the Pay Rates section of their profile. To edit an employee's Display Name, please click the Setup tab at the top of the screen. Next, click Employees, which will display a list of names. Please find the employee you'd like to edit and click Edit next to their name. Their Display Name can be found on the left side of the Edit screen, the third option down. Please click Save after changing the employee's details. 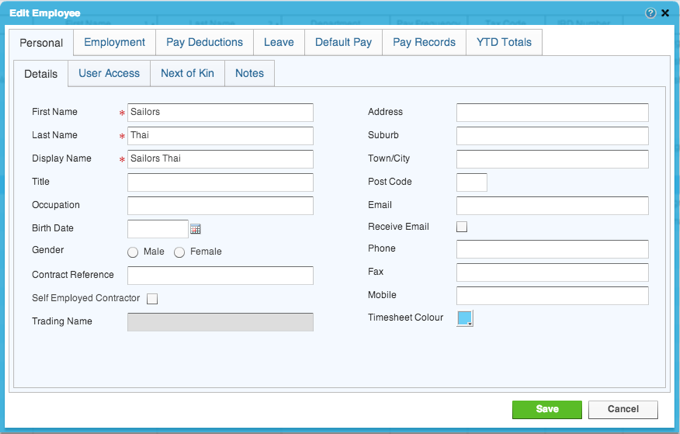 Second, please match the Pay Rate names in Deputy to the Work elements in FlexiTime. 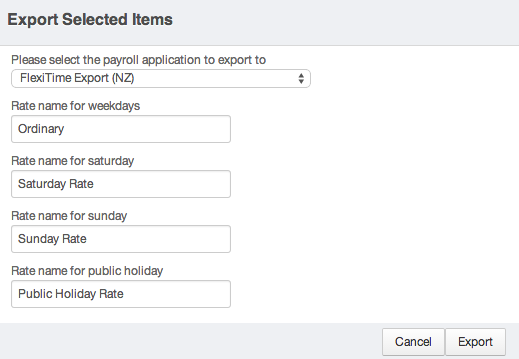 The option to name your pay rates will appear when you select FlexiTime in the Export menu. These pay rates are your weekday, Saturday, Sunday and public holiday rates. To change your rates, please follow the steps to find the Timesheet Export Code. Pay rates are in the same section. To set up your Work in FlexiTime, please follow the steps in this article. The Work name and the Pay Rate name must be the same, down to capital letters and spaces. After naming the Pay Rates in Deputy, please click "Export". This will create a file that you will need to download. After you have downloaded the file, please go to Tools > Import in FlexiTime. From there, click Select File then select the file that you have just created and downloaded. Next, please click “Load”. You will now see a list of employees and the time entries that will be created for them. If there are any red lines you will need to investigate the warnings by hovering your mouse over the red line, and correct any errors before proceeding. 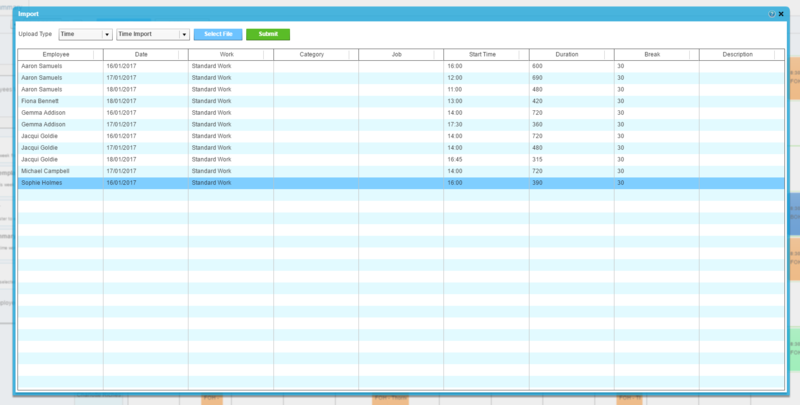 Finally, click "Submit" and your time entries will be loaded into the Timesheets ready to view and approve.